Now that spring has officially arrived, the last of the cold weather is behind us (hopefully), and summer is on the horizon, we've begun moving this party outside! There is nothing I love more than spending time outdoors with my family during the warm weather months. Most free days, or weekends, you will find us outside from sun up to do sun down - swimming, playing, grilling out - and not a single one of us would have it any other way. Since we spend most of our time outdoors, our outdoor living spaces endure a lot of seasonal use and abuse. At the beginning of each spring I try to refresh our outdoor living spaces, restock our sunscreen, replace any outdoor toys, and freshen up our gardens so that once spring is in full swing we are ready to entertain effortlessly. We've already been working on our back deck update, but we still have a few more patios around our home that needed my spring once over. Over the weekend, I didn't hesitate to head out to one of my favorite one-stop shops, where I can usually find everything I need for my annual project - Big Lots. 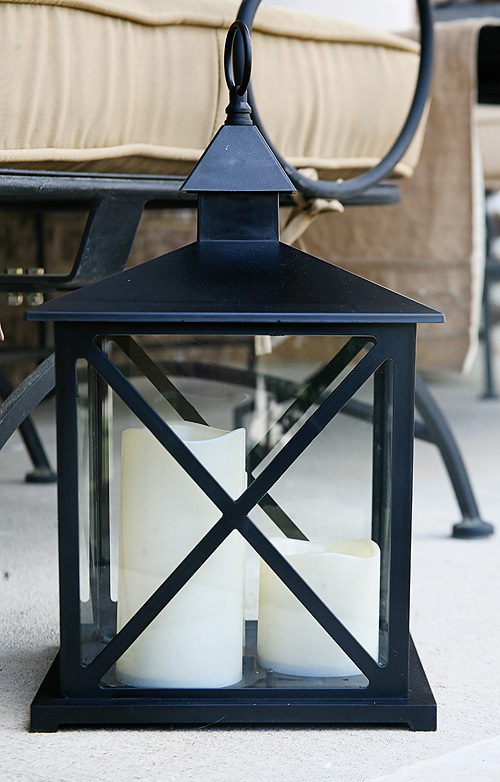 Big Lots has a such great selection of seasonal items and a huge outdoor living section. 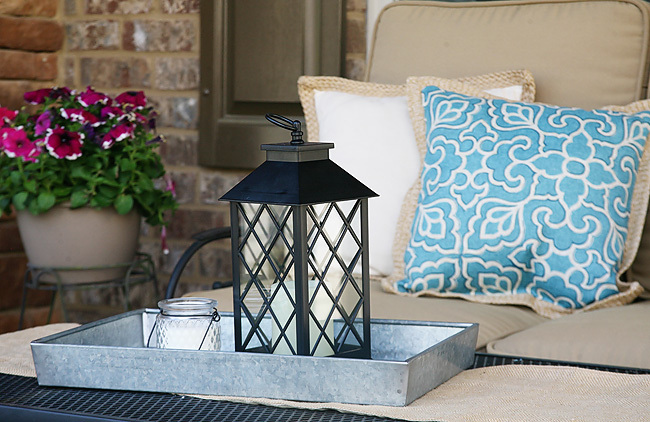 With everything from outdoor furniture sets to adorable throw pillows to outdoor entertainment to lawn care needs, I am able to find knock out any items from my refresh checklist in one shopping trip - yes please! One item that was on my checklist was a cute side table. I felt that we needed an extra surface to set items on, especially when we have guests over, and I was so excited to find these Moroccan style ones. I instantly fell in love with them, and they were the perfect color for my space. (Please note styles and assortment may vary by store.) I grabbed the one I thought would best fit our space (although I really wanted all three!!! ), and was giddy to check that need off my list. I was so impressed with this year's selection of garden containers! Several of my containers were looking pretty rough after sitting in the elements for a few years, and we definitely needed a few updated ones. I loved the variety of colors and sizes available. 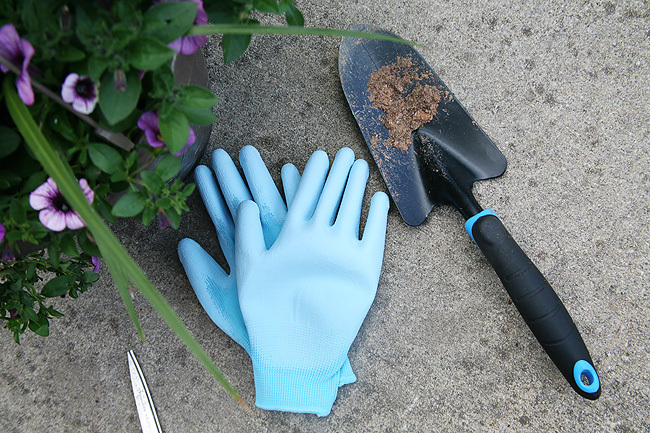 I was also able to hop over an aisle, and quickly grab everything I needed to refresh my flower beds and containers. There was also a great selection of patio cushions, and while I was temped, I ultimately decided to keep the ones we have currently on the patio for one more year. 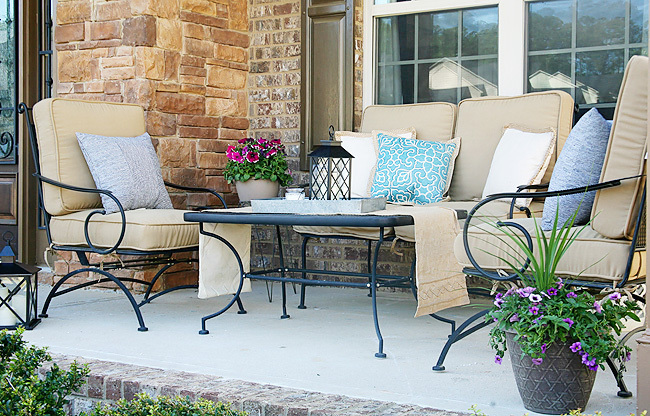 I grabbed a few fun throw pillows though, a lot of great accessories, some restock of necessities, and everything on my patio refresh checklist was officially marked off. The moment our car was parked in the driveway, I got to work and within moments our patio was completely updated and ready for us to enjoy. The Moroccan table, accessories, and new planters definitely gave it the refreshed look I was going for. I am so pleased with this year's update, and love how effortless the entire process was. 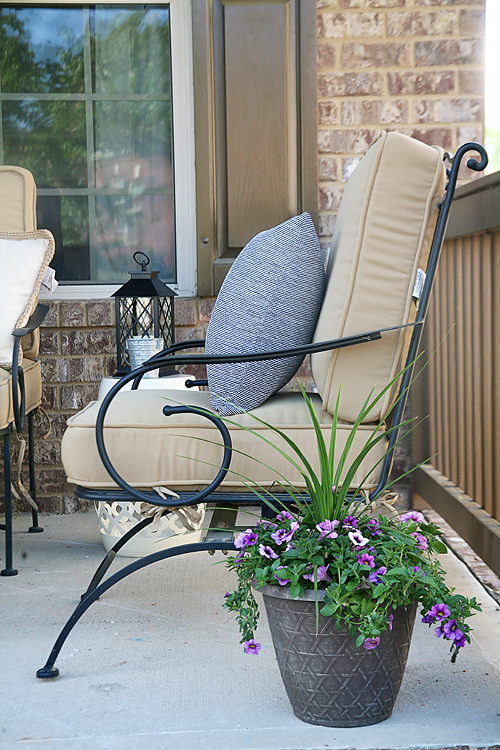 If you have an outdoor living area that needs a little love, or are simply looking for ways to utilize your outdoor living space a little more than you have been, here are my six tips and tricks that I try to follow each season. Pillows, pillows, and more pillows! 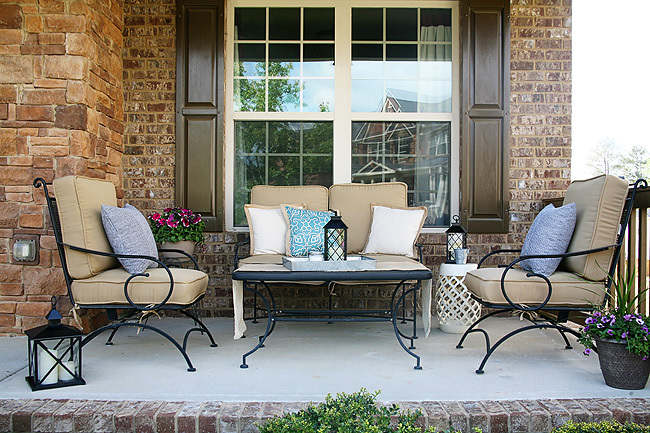 There is nothing I love more than snuggling up into a comfy chair or couch - outdoors isn't any different. 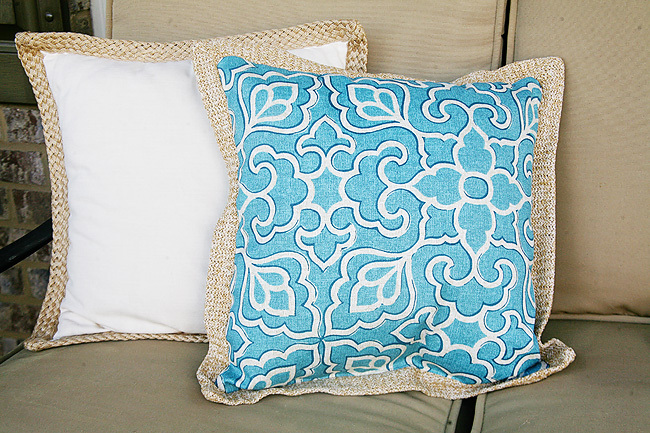 Pillows not only add a bit of comfort to any outdoor area, but they are also a super easy way to update a space or add a pop of color here and there when you need it. Nothing brightens up a space more than flowers. Use one of nature's greatest gifts and fill your space with fun planters filled with colorful treats to the eyes. Now if you are like me and are lacking the green thumb gene - have no fear! 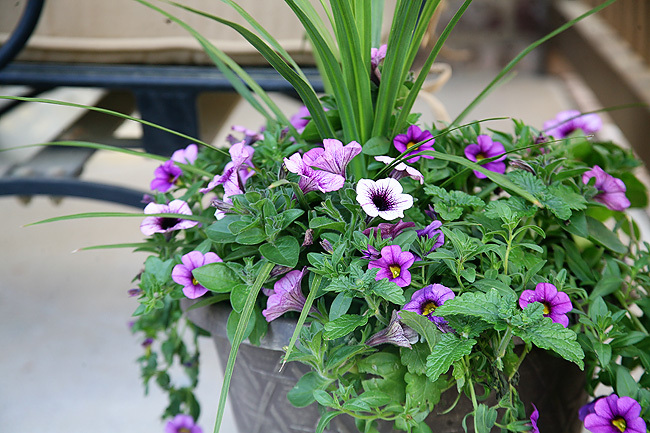 One of my favorite outdoor living hacks is to fill my planters with hanging baskets. In just a few easy steps you have gorgeous flowers filling your space. Place rocks and potting soil in the bottom of your planter (a trick a local nursery taught us). Clip the hanging part of the hanging basket off. 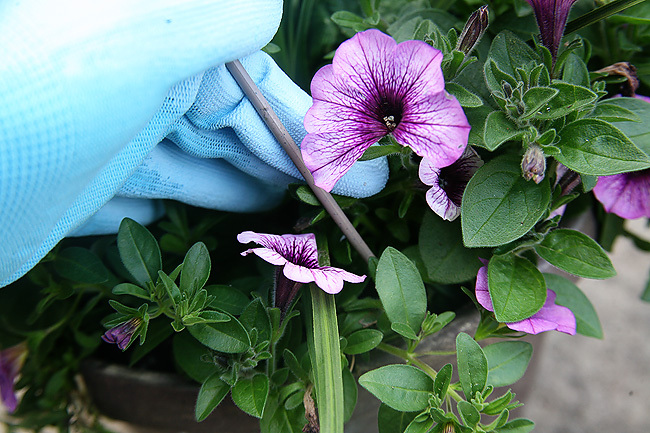 Gently squeeze and remove the plant from the hanging container. Place into planter and press down gently into your planter to settle. (Add additional potting soil if necessary). One of the downfalls of being outdoors is sometimes battling the elements of the outdoors. Bugs and dangerous UV rays do their best sometimes to put a damper on your outdoor fun. As a mom, I know how difficult it is to wrestle bug spray or sunscreen on everyone after play has already started. One of my tricks is to keep bowls or storage containers of necessities close by so that they are easily with in reach for anything that might come up - sunscreen, bug spray, band aids or antibacterial gel - I'm ready! One of my favorite things about outdoor living is that everyone is usually easily entertained. Adults can converse and relax, while the children usually are content hanging out with their playmates making up games or playing with one of the thousands of toys that fill our garage. If I know another family is coming over I try to make sure we have a stock of outdoor staples ready to go - bubbles, sidewalk chalk, etc. The trick is to have enough for everyone so that you 1.) Don't have to worry about arguments regarding sharing (at least too much) and 2.) The children can be somewhat independent. 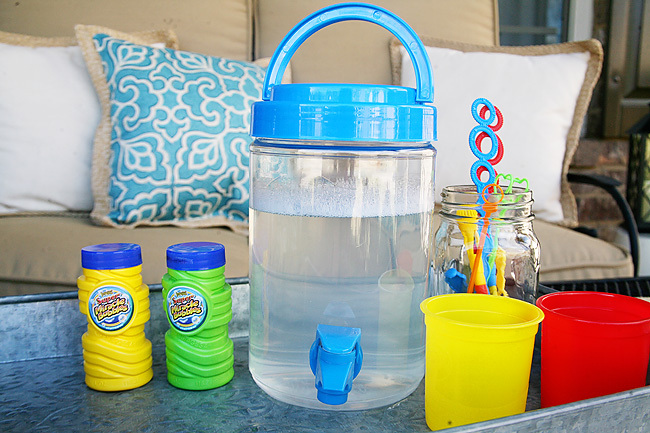 One of my favorites is this adorable bubble refill station I found at Big Lots. 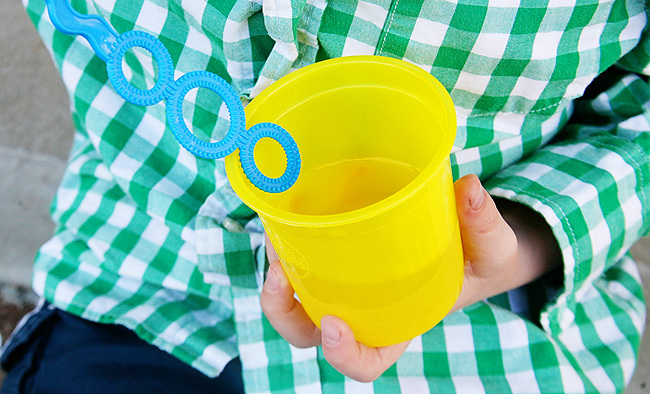 The children are able to refill their own bubble cup or grab one of the extra fun wands with ease. When not in use everything cleans easily and stores right inside the refill container. Outdoor living means outdoor eating (and drinking!). I learned years ago to put away the fine china for our outdoor meals. Kids and adults alike are prone to accidents outside, and with hard surfaces where small children are running around, who wants the fear of cleaning up broken glassware off their patio? While paper goods are a great alternative, I learned that also creates a ton of extra garbage, and sometimes I ran out and last minute would have to dig from my stash of old party "I might use these someday" paper goods...nothing brings humor to a party faster than breaking out "Samantha's Last Fling Before the Ring" plates when Samantha got married six years ago. My solution for making things easy is using fun melamine plates and plastic cups that I have designated specifically for our outdoor entertaining. I love the styles available at Big Lots. 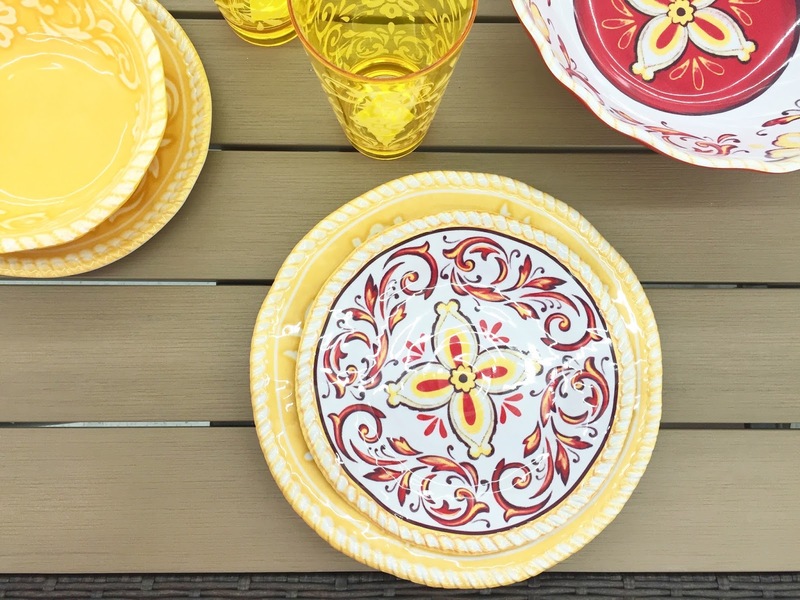 They have vibrant coordinating sets, like these, that are dishwasher safe, easy to store, and fabulous to look at. Outdoor living doesn't end when the sun goes down. Nothing is more decadent than being outside on those warm weather nights. 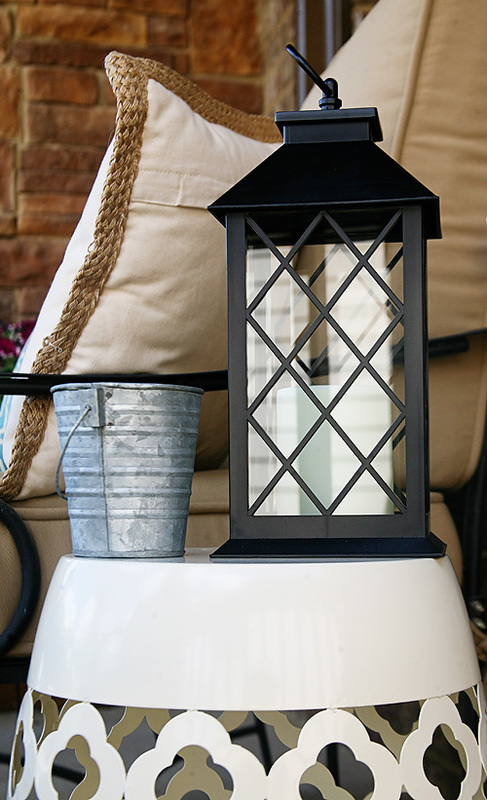 One effortless trick to transform your outdoor living space from day to night is to use LED lanterns. Not only do they add a decorative element to your space, but with just a touch of a button you have enough lighting to enjoy your outdoor living space as late as you like. Now, it's your turn! 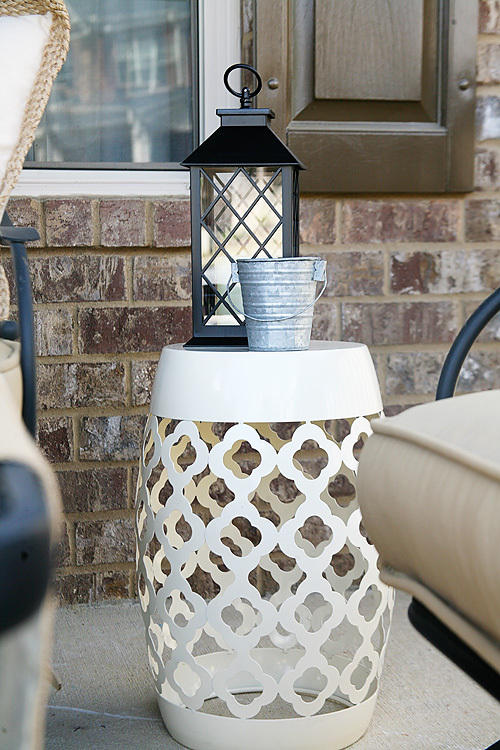 Check out Big Lots and let us know what items excite you the most for your own outdoor living refresh.